Let's face it, the truth is that it is almost impossible to clean an escalator by hand. You work hard to ensure your facility has a clean, professional image - do not let dirty escalators stand out like a sore thumb and tarnish your hard work. 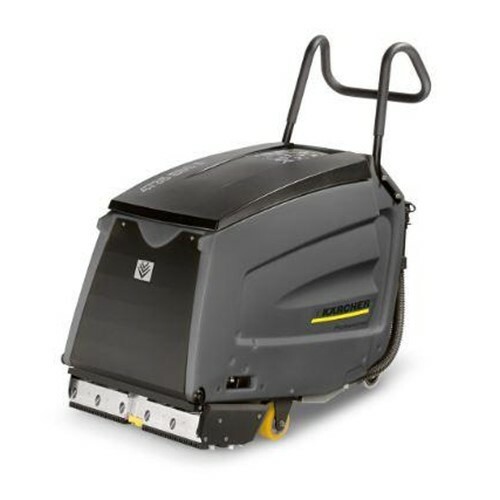 The BR 47/35 escalator cleaner is perfect for cleaning most types of escalators. It features two counter - rotating brushes, a centering skid and a compact, maneuverable design. Its tank - in - tank design is easy to maintain and the handle folds down for transport making this machine perfect for your facility.